Building an efficient sales process is a critical component in growing a company. An early learning from growing tray is that if you don’t put a system in place to effectively identify, evaluate and prioritise leads, selling becomes *really, really* hard. With thousands of leads to choose from - where should we start? How can we identify the right people in the process? Where can we track our progress? which are fantastic solutions. However, whilst these tools are brilliant in their individual roles, they still require a lot of manual processing to function as we’d like. A lot of the data is trapped in each service, which adds to the time it takes for us to get to the point of talking to potential customers. So in order for us to build out a smarter process we use our own product to inspect, enrich and act off the data that flows through our tools. We manage all our customer communication using Intercom, it’s the mission control for customer interaction, and it’s great for helping to support and nurture people that use our product. 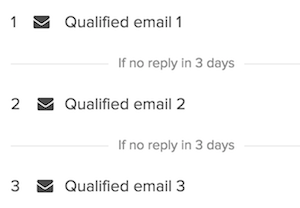 In order to better support new users, we segment them based on the attributes we can gather during sign-up. First we enrich new users using Clearbit, specifically what we're looking for here is information on the role & company that a user is part of. 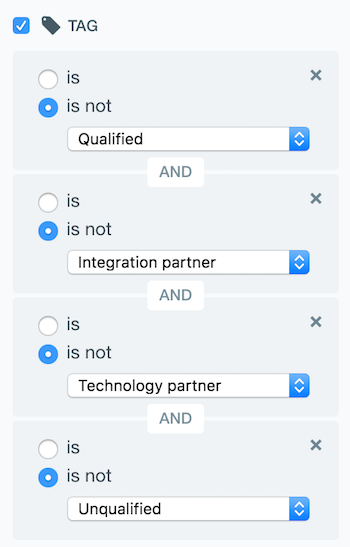 Now our user record has some super useful data within it, we can build segments within Intercom to enable our team to identify and support these users based on our experience of companies that match their attributes. Taking this a step further, we can also include data collected via Segment for this step, this helps show the source a user signed up from. 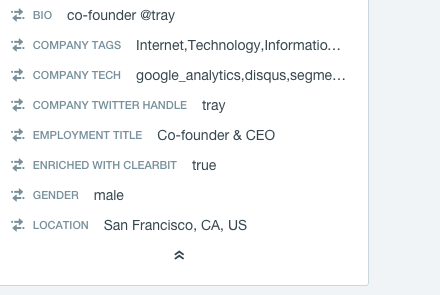 Now we’ve segmented our users, we can begin tagging & prioritising them! 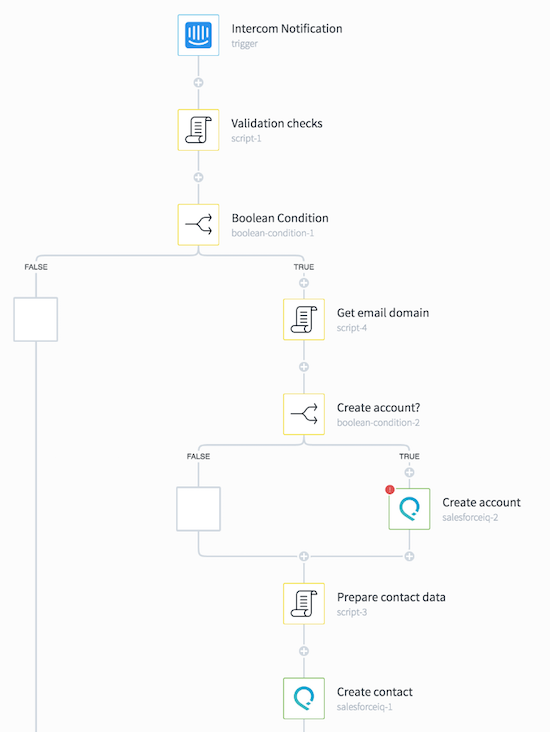 As soon as a user has the “Qualified” tag added to them (done manually by our sales guys), a tray workflow automatically adds them as a lead in our CRM (SalesforceIQ), where we can start logging deal activity against the user. This flow is quite specific to ourselves - but if you’re interested in finding out more, feel free to clone our tray.io template and adapt around your workflow. This process will work with virtually any CRM and SDR tool.